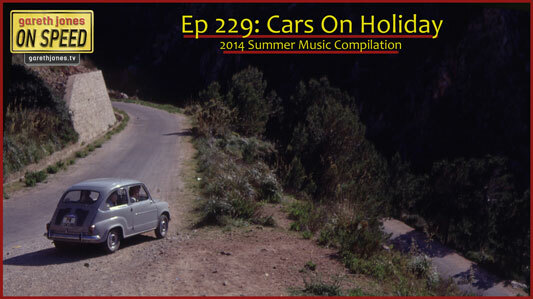 "A Very Good Car For You"
#229 Cars On Holiday: The 2014 Gareth Jones On Speed Summer Music Compilation. The horror of driving holidays in the 60s and 80s, rental cars, and using Zog’s car as a cooker. 5 tunes including a brand-new F1 war song from Gareth Flanagan and Steve Allan. In 1914 war broke out between Britain & Germany. as Lewis Hamilton goes to war with Nico Rosberg. The day they went to war. Has everybody lost their bloody senses? "I hear your pappa got you into this"
Are we having-a-laugh, or are we being serious? Remember the lads-and-lasses-lost on both sides. We‘re fighting over the land that we call pole. Written, recorded, produced & mixed by Gareth Jones.